Androgens in male birds are produced by the interstitial Leydig cells, located in the interstitial tissue in between the convoluted seminiferous tubules (tubuli seminiferi) of the testis. Leydig cells are already present and active in the embryonic testis. In the adult bird, the Leydig cells undergo well defined seasonal secretory cycles during which they change as well in number as in activity. 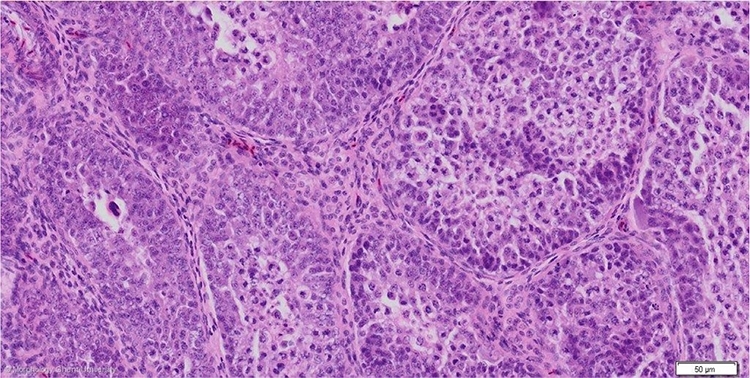 In the inactive testis, interstitial cells are relatively numerous in one spot but their total number is rather low due to the small testis volume. For a description of all the testicular structures: see male tract.